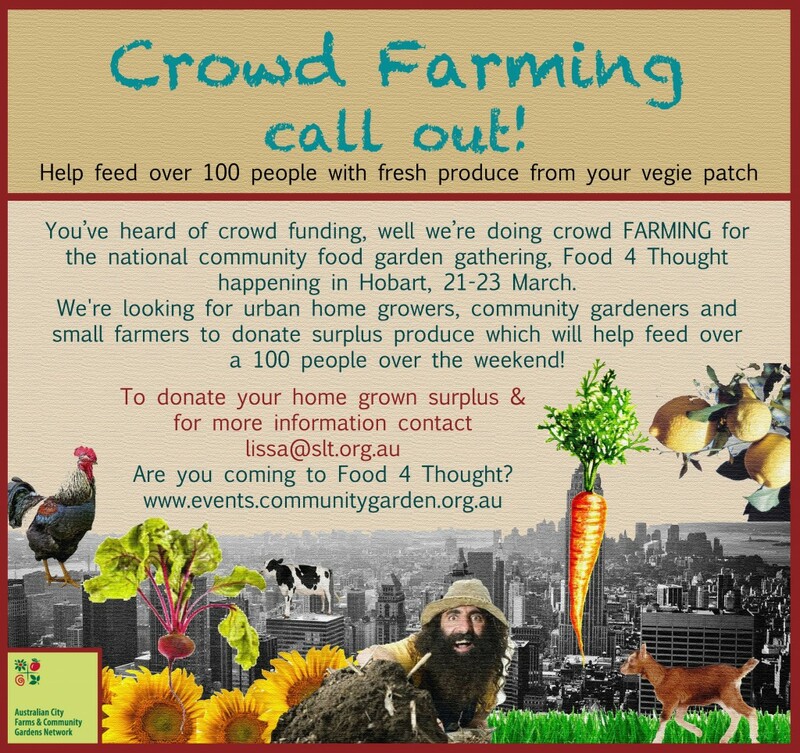 You’ve heard of crowd funding, well here in Tasmania we’re helping to run a crowd FARMING campaign for the upcoming national Food 4 Thought gathering to help feed over 100 people for the weekend event. Crowd farming involves feeding people through contributions from home, community and market gardeners who donate surplus kale, chicken eggs, potatoes, apples, peaches, herbs – anything fresh and wholesome. The whole exercise highlights how small-scale food production is effective and that it’s a very real piece of the healthy local food system puzzle. We’re throwing our full weight behind this event as we wholeheartedly believe in and live everything ‘local food system’. 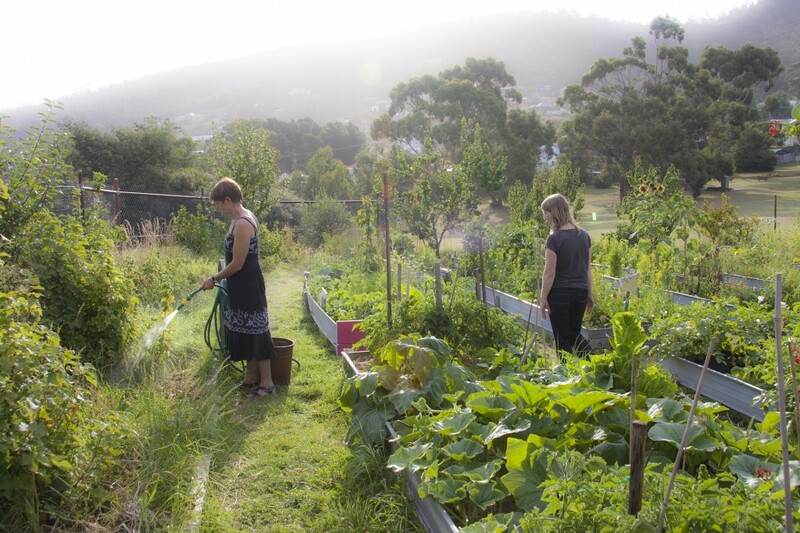 Part of Good Life Permaculture’s manifesto is to give back to, and help build, a vibrant, resilient community. So you’ll often see us volunteering our time for gigs like Food 4 Thought as they help inspire, educate and activate people into living good lives… Which is what we’re all about. 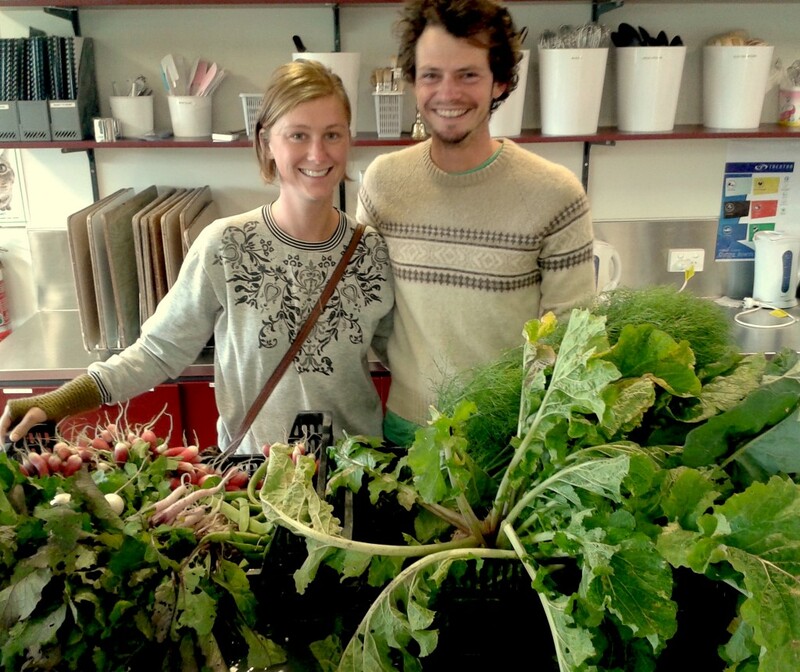 If you’re keen to be one of the ace crowd farmers, register your produce with Lissa at lissa@slt.org.au, who, through Source Community Wholefoods, will be transforming all contributions into scrumptious meals. She’ll confirm your donation and advise you on the best time to deliver your produce at a certain date, time and location, you can check out the details here. This has all come about because we saw what Grow It Local got up to last year in Sydney for a TEDx event. They crowd farmed enough food to help feed over 2000 people – yup, 2000 people. If you need proof this really happened watch their short youtube clip about the whole journey, actually just watch it anyway – it’s truly an awesome effort. We were blown away with their efforts and wanted to give it a go, Tassie style – which generally means a bit smaller :-). 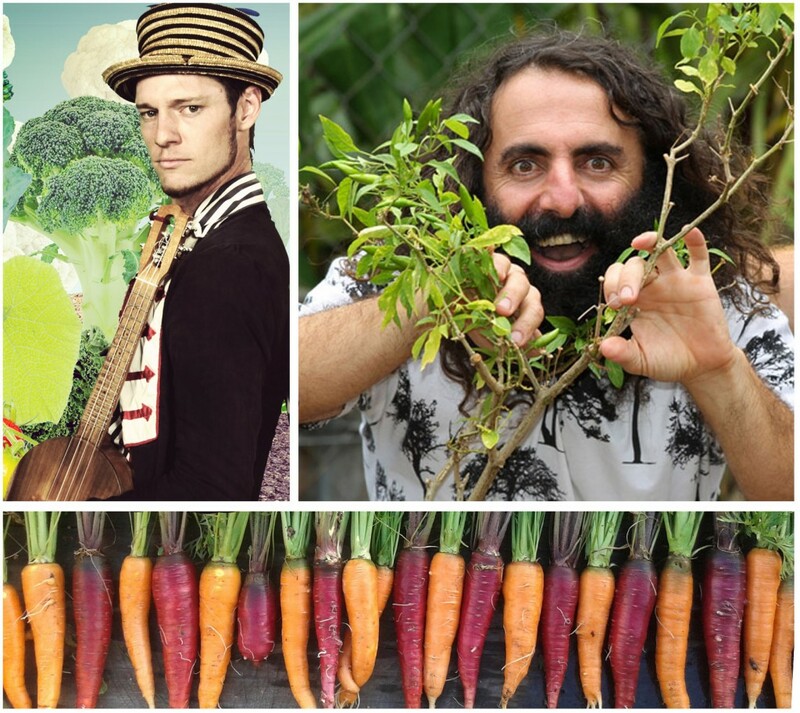 In exchange for produce, gardeners will receive free entry to an invite only evening event on Friday 21st (6pm – 8pm) where you can meet some of the keynote speakers, avid gardeners and community food professionals, plus be serenaded by the musically amazing Charlie Mgee from the Formidable Vegetable Sound System. We’ll also be doing a big shout out to you all during the gathering and sending lots of love your way. Gracing us with their knowledge, skill and deep experience are some fantastic keynote speakers who are not to be missed, you can view the whole program here. We hope you’re coming along for the weekend, tickets are available until March 14th, 5pm – REGISTER TODAY! Want some more background information about the role of urban agriculture? 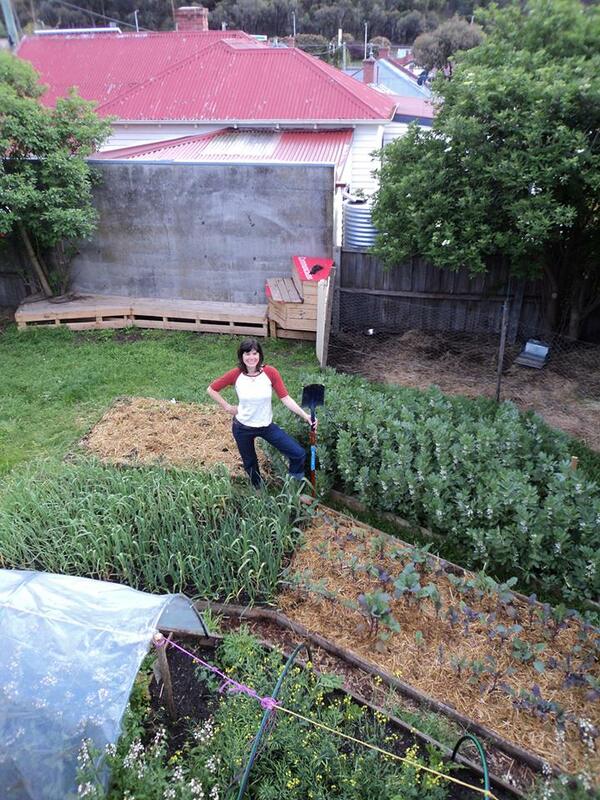 You can listen to me talking with Tas ABC Country Hour about local food systems, crowd farming and Food 4 Thought. We’re encouraging people to share the crowd farming poster (below) everywhere so the word gets out to help make this truly awesome. If you can’t be in Tassie for Food 4 Thought perhaps you’ll consider doing something similar in your own community :-).